1. Visit a street fair or flea market. Here are 7 reasons why you'll have a great time. 2. Build your own pizzas and throw them on the grill. 3. Beat the heat with a water balloon fight. 4. Go to Toys 'R' Us or your local toy store and let them test drive the merchandise (within reason). 5. Let them invite friends over for a karaoke night. 6. 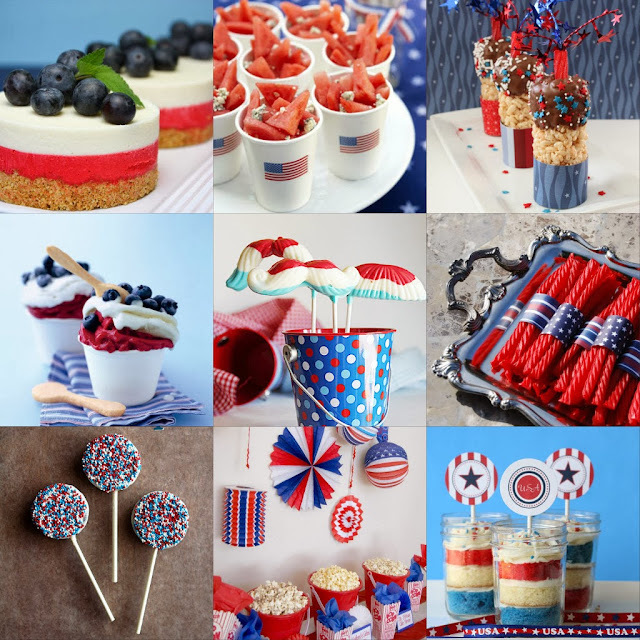 Make some patriotic treats for the 4th of July. Here are some fun ideas. 7. Teach them Pig Latin and commit to speaking it for an entire day. 8. Practice some light yoga together. You can find some great, kid-friendly videos on YouTube. 9. Take a trip to the beach. 10. Give them $5 to buy presents at the dollar store and celebrate Christmas in July. 11. Go see Minions, out Friday, July 10. 13. Play dress up with them, then run all your errands wearing your fabulous costumes. 14. Spend the day in your pajamas. 15. Head to the public library or bookstore and catch one of their readings or events for children. July Holiday Sale: Up to 75% off Clearance with code FOURTH. Valid through 7/7. Stars, Stripes and SAVINGS at Lord & Taylor! #4 is me all day. I'd let them test drive the toys , but we're driving home empty handed (lol)! However , they still have fun! Kids are easy; they have fun regardless of whether a purchase is made or not.